Columbia Chiropractor Reviews | Chiropractic Wellness Center, Inc.
“At Chiropractic Wellness Center, Inc. we love when patients share with us their feedback and comments after chiropractic care. Please read our patient testimonials below to see what other people have achieved through their tailored treatment plans with us. Share your stories too! 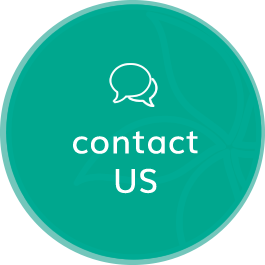 Click here to send us your feedback so that we can help to spread the word about the benefits of natural Chiropractic Wellness Center, Inc. care. Dr. Shelly Jones had come highly recommended to me. She was very kind and caring. She made me feel very comfortable and was very intent on listening. I too, would highly recommend her. I look forward to going back. I have been going to Dr. Shelly Jones for the last 9 months and between the newsletters and working me in when I did not have a appointment is great. I have nothing about great things to say, her place is clean and friendly. She makes you feel like she really cares. I enjoy going there. I have felt so much better. More than anything I like the information on what to do when lifting eating. I loved that Dr. Jones had explored the method of chiropractor that I had told her I had been searching for and compared it a bit with her own methods. I was very taken that she could show me how my back issues might correlate with my other medical issues. I felt very comfortable that she would be trying to help my condition improve not just “seeing a patient.” Thank you. Things seem to be going well. Dr. Jones provides a thorough exam/interview prior to intervention and her ability as a chiropractor seems unparalleled. She has also provided an estimate of how treatment will continue and when it will be reduced to maintenance. I am currently undergoing treatment and I feel that it is quite effective. Dr. Jones is the best chiropractor. Dr. Jones is not just great with people her knowledge about her passion is fantastic. You don’t have to finish telling Dr. Jones all of your symptoms because she will already know and she would have a good idea on what else has been affected. Dr. Jones doesn’t start working on you right away she wants to see and know the best way to help you. My whole family goes to see Dr. Jones (1 yr old daughter 2 month old son and my husband). I am a firm believer that this works. I had a badly sprained ankle that wouldn’t heal after 6+ months. They worked on it, pulled, adjusted, and did whatever else–but I but I LOVE it! I can now walk down stairs like a normal person–not taking it one step at a time. I had tried a lot of alternatives but this definitely worked for me. They are friendly, patient, easy to get along with and the whole atmosphere is one of calm. Such a nice place to go. I’m hooked! Thank you, Dr. Shelly! “Obtaining chiropractic services from Dr. Shelly Jones is the best decision I have made so far this year! She identified the origin of the numbness in my left arm through her comprehensive examination of my vertebrae. She explained how the spinal column affects the entire body and how proper alignment improves overall health. My chiropractic treatments have done just that! I have become more energetic, my posture has improved, and I can now sleep on my left side without feeling pain. “I arrived at Dr. Shelly’s office a few years ago, at the age of 41, with severe lower back issues. There were many days that simply sitting in my car to drive a short 10 miles was excruciating. I have been active all my life; first as a ballerina for many years, then eventually transitioning to fitness and gym life. Through the years, I had learned to just “live with” the nagging daily pain of sciatica. I was ever grateful for the days of less pain and barely managed on the worst days. It upended all aspects of my life…work, home, and gym. In mid-2011, I scheduled a visit to my medical doctor regarding a back pain that was wholly different and on most days, was so painful, it took my breath. As usual, I was given a never-ending supply of muscle relaxers and topical steroids for relief. I dutifully took my hand-scribbled pieces of paper to the local pharmacy and made the attempt to wish my symptoms away, thereby falsely controlling the underlying issues. Did I mention I was also training for my first 1/2 marathon and teaching kickboxing?? By early 2012, even with weekly, hour-long massage visits, I was no better off and was having trouble sitting for any amount of time. Kickboxing had become mostly impossible. My massage therapist recommended Dr. Shelly, having never met her, based solely on word of mouth. Three years later, I have a diagnosis of which I had never heard before our consultation, I am mostly managing my pain, and living an even more active life than I had previously. There are still days that pain creeps in, but now I can usually pinpoint the “why” and “how,” and then visit Dr. Shelly for the relief I need. I have had to learn to live with the fact that my structural alignment will never be ideal. The days of sticking my head in the sand and wishing for someone else to make the pain go away with a “quick fix” are over. Daily management and attention to motor mechanics with every move I make are critical for my overall quality of life. At almost 45, I can confidently spend my weekends doing what I love…scaling walls, climbing ropes, carrying sandbags, crawling through barbed-wire covered mud pits, and attempting things I once thought were an impossibility. I say I can do these things confidently, knowing that my body has the ability to even make the attempt, feels light years beyond how I felt when I first breached her threshold! 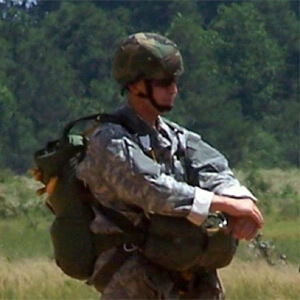 “As remarkable as a life as a paratrooper has been, it did, however, come with aches and pains. For years, I dealt with upper back and shoulder pain, tingling sensation down my arm, and a good night sleep was hard to come by. My first plan of order was an x-ray that showed the wear and tear on my body caused by my years of military service. Dr. Shelly immediately recognized the damage to my spine as the direct result of the actions of a paratrooper. Specifically, whiplash occurred every time the parachute opened, escalating the injury as I continued to do this year after year. My spine, she explained, narrows midway down and has a slight twist, with one hip twisting forward, probably caused from the impact I sustained as I hit the ground at a high speed. She conveyed to me that these issues would have to be addressed where they originated or they would continue to surface. I learned that the pain in my arm is completely related to the injury to my spine. 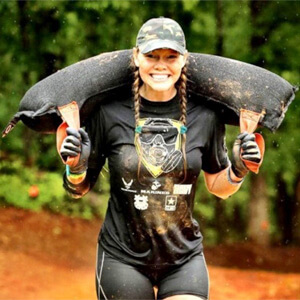 After the military, I began to take part in obstacle racing, facing military-style obstacles that lasted for four miles or thirteen miles, depending on the race. The pain in my shoulder made it difficult to put out the level of effort needed in order to compete at this level. After a few miles the muscles in one hip would tighten and I was far from the finish line. With regular treatments, Dr. Shelly has not only been able to keep me from having surgery, but has been able to dissipate the pain and enable me to be a contender. I now no longer have tingling in my arm, my shoulder is getting better, I have better range of motion, I am stronger, and, best of all, I am able to perform on a high enough level for my team to where we were able to win our race! Dr. Shelly has been able to eliminate pain that kept me from doing what I love. She communicated complex medical information in a way that helped me understand exactly how and why my body hurt. Not only is she knowledgeable in her craft, but also her character is A#1 and she has unwavering integrity. “I am much happier because the quality of my life has improved. Of course, the grand-kids are enjoying their visits because “Nana” can play again–pushing, pulling, and all those activities! It is a huge improvement to be able to move with more freedom and not fear another spasm. Chiropractic care changed my life and my lifestyle. I am back to babysitting the grandchildren, which is extremely important to me. My sleep has improved and my digestive health has improved (no more daily fiber)! Dr. Shelly and Rachel are fantastic. Dr. Shelly was extremely thorough in diagnosing my back and neck problems and took the time to explain every aspect of my treatment. 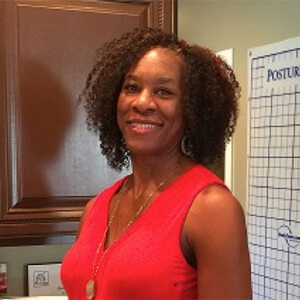 She offers educational seminars that also help the patient understand subluxations and adjustments. Rachel is always so cordial and helpful even when she’s busy. I feel as if my metabolism has changed for the better. I am getting better sleep with much less frequent nightmares. Of course, I am pain free. I just feel more vibrant and more alert. My back and neck pain are gone. I am not worried about getting injured by my spasms. I am exercising again, playing with the grand-kids and doing what I used to do–only pain-free now! I can exercise, walk the dog, play with the grand-kids, do my gardening and work pain-free on my computer at the office. I feel fantastic! “Sitting for extended periods of time was very uncomfortable for me. Family and friends that I spend a lot of time with have noticed that I don’t squirm and fidget as much and that I appear more comfortable. I didn’t realize the extent of my discomfort until it got so much better! I think I might drive people crazy now because I talk about my chiropractic care A LOT! 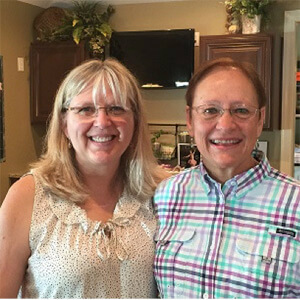 I have noticed at every visit that all of Dr. Shelly’s patients are equally important and special to her–even the grumpy skeptics! She very clearly explains what she does and how and why it works. Chiropractic wellness is a science to be taken seriously as Dr. Shelly does in a very intelligent and professional manner! My only WARNING is: Addiction is highly possible due to the success of the overall therapy! My headaches have decreased tremendously and back pain and fatigue is almost completely gone! It’s sinus season and I have no sinus issues! I have more energy and stamina when exercising–along with MUCH LESS general back discomfort. I can sit for long periods of time with discomfort (i.e. riding in the car, on an airplane, and sitting in a restaurant).